Engage with your ‘BEST’ Customers! Most agencies, consultants or integrated-marketing shops talk about “How” they do it (traditional / digital marketing, SEO, CRM, PPC, E-mail, Social Media, Marketing Automation, etc). And, while TribeFinders® can absolutely help with execution, first we help you focus on “Who” you market to. We know from hands-on experience that your very ‘Best’ customers are many times more valuable. Since it costs about the same to acquire poor quality customers as it does those who’ll deliver outstanding Lifetime Value (LTV), it makes sense to talk to your Best prospects first. Whether B2B or B2C, your Prospects shop differently now. So the tactics and execution for finding new customers have changed too; irrevocably. What hasn’t changed are most companys’ core objectives of identifying, engaging, acquiring, growing and retaining high-value customers. Our expertise is in helping you avoid “Ready, Fire, Aim” syndrome by ensuring you clearly understand what your ‘tribe’ of Best prospects looks like before you start spending valuable marketing dollars getting tactical. ‘Best’ Customers are, well… Better! TribeFinders® Customer Strategies Inc. has over 25 years experience helping great companies understand, target and engage better prospects. If you already have a ‘Best’ customer profile, we’ll use that to make messaging and highly-targeted digital tools work even more effectively to acquire new customers that match your profile. If you don’t have a ‘Best’ customer profile, we can help you build one. It’s critical that your service or business is in a prospect’s ‘Initial Consideration Set’; that select group of potential providers who are already on your prospect’s radar when the purchase desire is triggered. Recent research* shows that top-of-mind brands included “…in the ICS were more than 2x as likely to be purchased as were brands considered only later in the decision journey.” You need to be on the start grid before the race begins! Time to get Stoked about Customer Acquisition again? The value of data-driven marketing is not necessarily that it converts better, it’s that it’s many times more efficient at identifying those who are most desirable, and likely to convert in the first place (and then stay). When ‘Best’ prospects buy with a full understanding and appreciation of your value-proposition, its just the start of a long and mutually beneficial (customer) relationship! Get in touch with us for a no-obligation talk about your objectives. Your ‘Best’ customers are waiting for you! 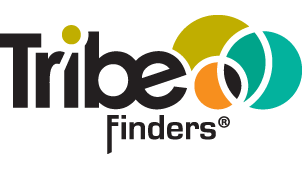 TribeFinders® gets results by identifying your ‘Best Customer’ prospects, then deploying relevant, targeted messaging via the most appropriate channels ─ be it traditional, digital, social or mobile media, (or any combination). (If something urgent comes up, we’re always available).